Today we’re getting deep into Pinterest with leading expert Kathryn Moorhouse. Back in 2015 Kathryn founded children’s clothing brand Zoey & Logan, whilst marketing and growing the business her love affair with Pinterest began. And in mid-2016 she switched from eCommerce business owner to follow her desire to help other entrepreneurs grow their businesses with Pinterest. 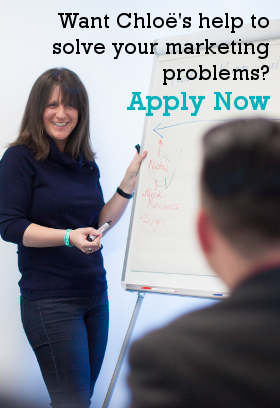 After studying business and marketing and graduating from university, Kathryn was unsure of what she wanted to do. She began caring for children to give herself time to think about it. As she was working with the kids, she noticed a gap in their clothing. She wanted to do crafts and play outside, but their clothing wasn’t built for it. Her husband’s aunt taught her to sew, and she began making aprons and things that the children could play and get dirty in. She fell in love with working with fabrics and making clothing for kids, and loved all the ranges she could create even after having never sewn before. Zoey & Logan was born. Zoey & Logan was to be a baby and children’s clothing brand. Kathryn started with beanies and blankets because they were easier to make in the beginning. Many of her friends were having babies at the time, so she had built-in testers for her products as well. She started with the baby range, and fell in love with Pinterest before she got to all of the children’s range. Listen to learn about the pride of having a product that she’d created herself. Pinterest is a visual search engine. Think of it as the lovechild of Google and Instagram. When Pinterest was created, the idea was to take that pinboard you maybe had in your office where you could pin ideas, recipes, and magazine clippings portraying your ideal lifestyle, and make that pinboard virtual. Pinners could take ideas from anywhere on the internet and pin them to one place where they could see all their ideas gathered. Since then, it has evolved into a business platform as well. Pinterest has branding designers, lawyers, dentists, and a variety of other industries that market their businesses on Pinterest. The entire backend is like Google, with the same search functionality of Google. Someone may go to Pinterest and search for an idea or a recipe, and Pinterest will use the search and find any pins all across Pinterest with matching keywords to show in the search results. However, the search results are visual. Listen to learn the type of content that Pinterest does not allow to be marketed there. Kathryn recommends not going onto Pinterest yet if you don’t have content on your website. You need a good level of content, and at least 10 or more pins on Pinterest that lead to your website to get traffic. The key is to have enough content on your website that you can share multiple pins on Pinterest. Pinterest has a large female base. More men are beginning to come on though, so right now the split is about 60% women to 40% men. If your ideal client is male, that doesn’t mean they are not on Pinterest, but there may be fewer of them than women. To find out if your ideal client is on Pinterest, you can do something as simple as going to Pinterest and searching for your own keywords. If the search returns other content about your topic, chances are it’s a good place for you to be. A deeper way to see if your clients are there is to see what they are interested in outside of your industry. Is your client searching for health-related content that is outside of your industry? If so, search for that and see if there is content relating to that topic. If so, then your audience is there. 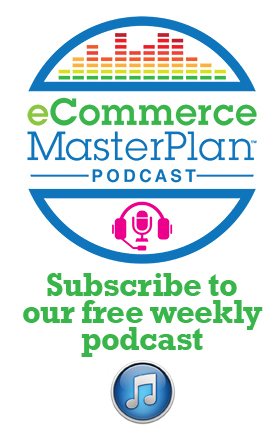 Listen to learn why you may want to market on Pinterest even if there aren’t a lot of people in your industry already using it. Make sure that every single pin that leads to your site has the proper keywords in the pin description. After the search, blocks will appear under the search bar with suggestions of other things to search. Those blocks show the most frequently used keywords in relation to that search. So if you search ‘baby beanies’ and the first block says ‘gender neutral,’ that means that most of the people on Pinterest who are searching for baby beanies are actively searching for ‘gender neutral baby beanies.’ Since that is the highest-searched term, you need to make sure, if your baby beanie actually is gender neutral, to include that term in your pin description. Once you have all your descriptions set, you should be pinning and repinning your content. You must maintain your consistency in pinning. You can pin the same pin multiple times to the same board over the next couple of years, spreading it out by a couple weeks or a couple months between repins. Listen to learn how to format your pin descriptions. 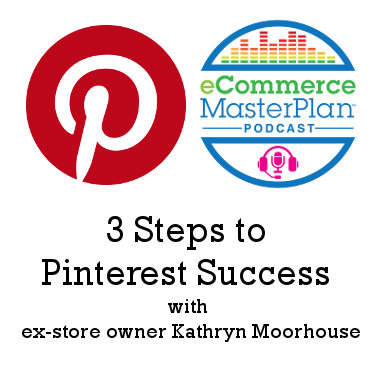 Kathryn has a three-step process to getting traffic to her pins and therefore, her site. Step one is to pin other people’s content that relates to her content onto her boards to help attract her ideal clients to her profile and to let Pinterest know to place her content in places on Pinterest related to those keywords. Step two is to pin her content to her Pinterest boards every day. Step three is to pin her pins to any group boards that she’s a member of. Pinterest is a long-term marketing platform, but if done correctly and consistently, it can become your highest traffic-referrer, and it will continue to snowball. Listen to hear a more in-depth description of the three-step process, how to use Tailwind to schedule your pins to be pinned, and to learn about collaborative group boards. Once you are seeing organic growth from your Pinterest strategy, Pinterest ads become worthwhile because the pin is already validated. Pinterest ads look like regular pins, not ads, and the ads expand your reach drastically. Every business has areas where the owners are wasting time and money and doing things the long way. Streamline it and really focus on the core elements. 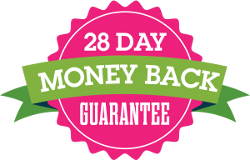 Get rid of unnecessary blockages for you and your team, and blockages that are stopping people from buying your product. Profit comes where you focus your time and energy. If your time and energy is in too many places, you’re just going to flounder.